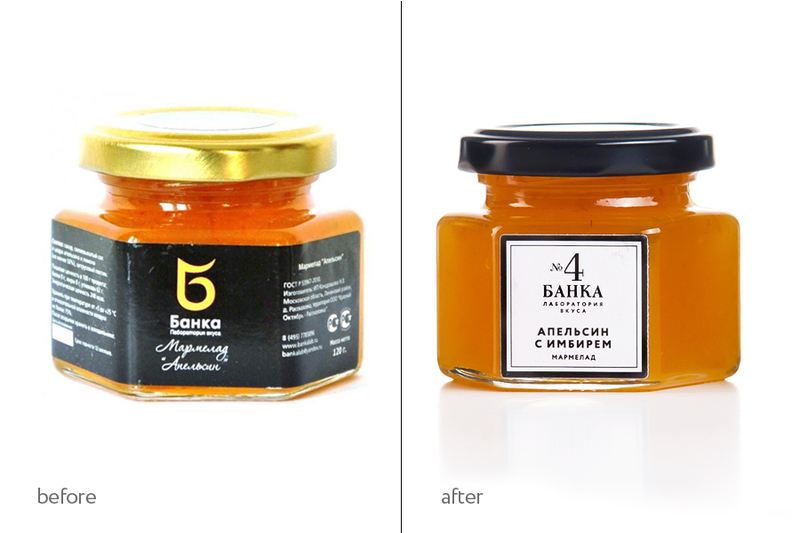 The brief for the redesign of the packaging for “Banka. 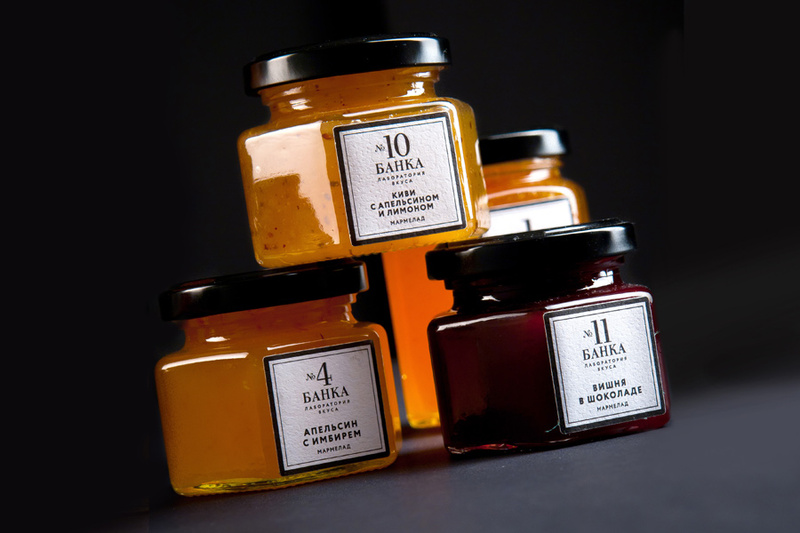 Laboratory of taste” was elaborated with the assistance of the media project What the pack? in the course of a specially organized tender that has been won by the Studio Ohmybrand. 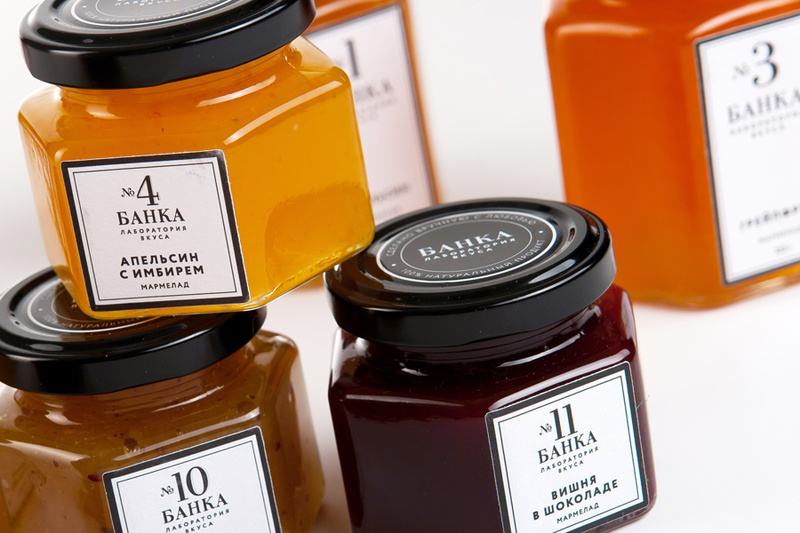 The customer is the only company on the Russian market producing natural handmade marmalade. The packaging design is intended to emphasize how natural this product is, to confirm the positioning of the product in the premium segment and to become the reference point for creating a brand identity. 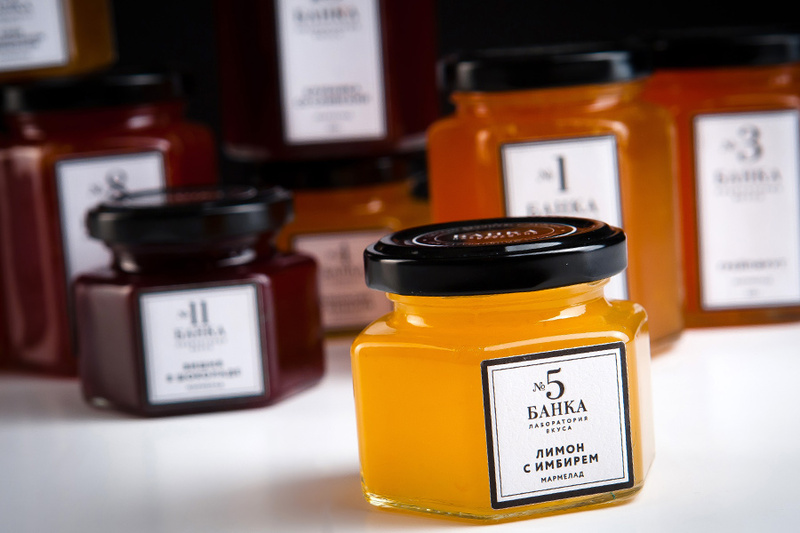 Standards supported by the company confidently claim to become the industry standard in principle – as well as perfectly made marmalade creates a high level of competition for all other products. That is why it was decided to represent the brand as a small boutique with the highest professional skills. In this case, the design has become the main tool for arranging flavors of the product. 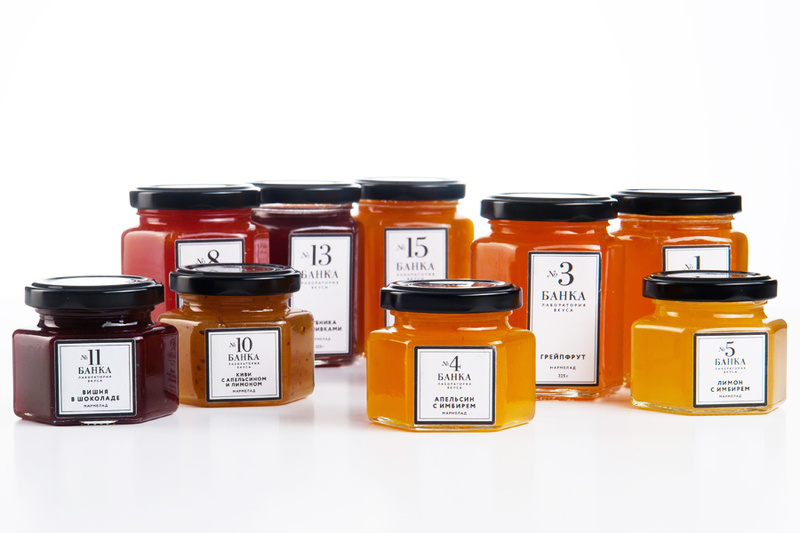 Each variety, from cranberry to blackberry coffee, has its own jar with a number on it. It’s hard not to recall the legendary Chanel with a «numbered» line of fragrances. Outstanding brands do not need a long introduction. 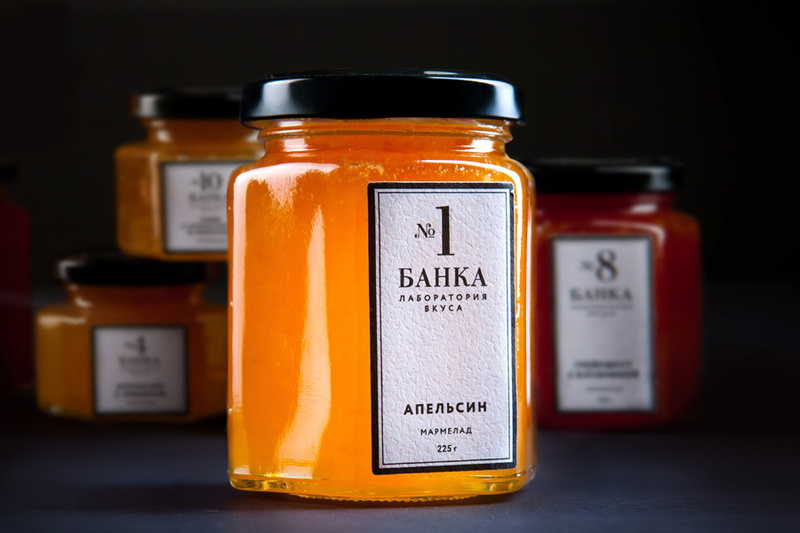 Minimalist black-and-white labels and strict lines decisively put the “Banka” marmalade not in the “made by granny” segment, but in the unmistakable premium. This entry was posted in Ohmybrand | Разработка позиционирования, упаковки, торговой марки, названия, стратегии., package, what, local, works, market and tagged id, package. Bookmark the permalink.